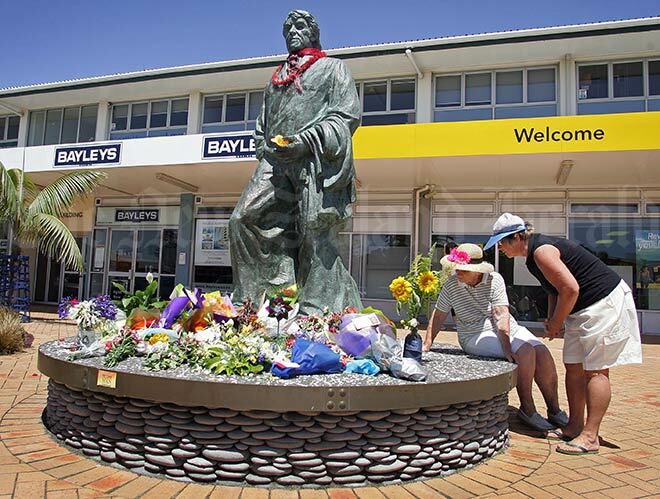 People pay their respects at the statue of mountaineer Sir Edmund Hillary in Hillary Square, Ōrewa, on 12 January 2008, the day after his death. There have been few memorials to individual New Zealanders since the 1960s. However, as the best-known New Zealander of his generation, Hillary was honoured with two statues in New Zealand – at the Hermitage beneath Aoraki/Mt Cook, and at Ōrewa, north of Auckland. The Ōrewa statue was erected in 1991 and was the work of a Chinese immigrant to New Zealand, Chen Wei-Ming. Can we visit this statue place at anytime?